This time of the year, the birds start gathering together to migrate, or move, to their winter place. 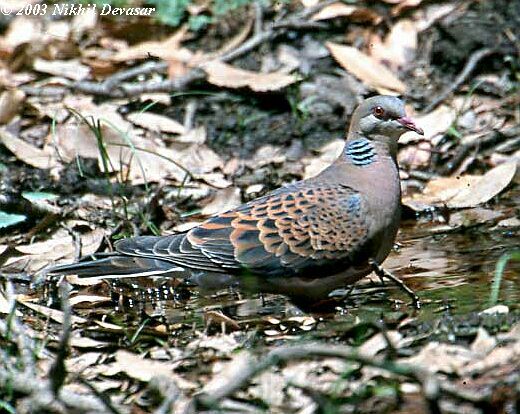 The birds in Australia, begin flying north to their summer place. But they like to fly in groups. This helps keep them secure and going in the right direction. The cartoon below is cute, but God has built into birds a very accurate way to migrate. A few birds become confused in storms and become “lost.” Even then, many of them still arrive at their destinations. 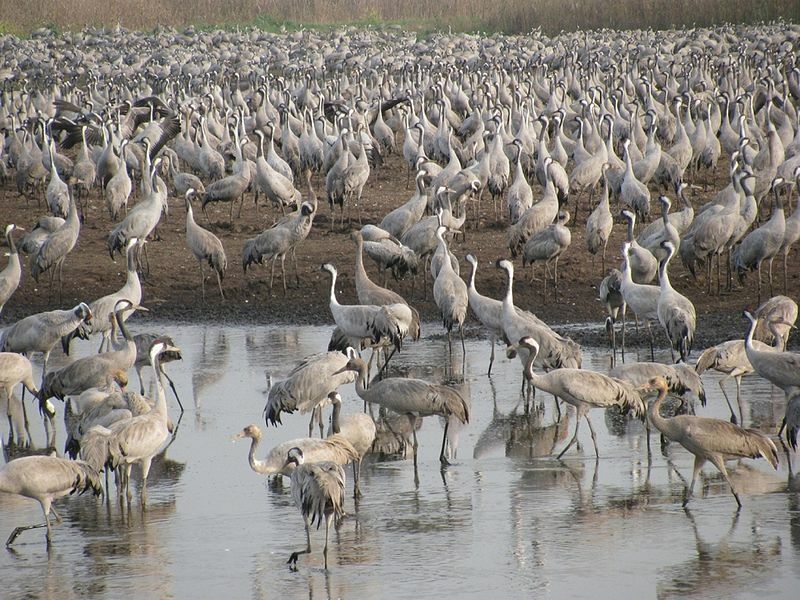 And the stork, the heron after her kind, and the lapwing, and the bat. All fowls that creep, going upon all four, shall be an abomination unto you. Yet these may ye eat of every flying creeping thing that goeth upon all four, which have legs above their feet, to leap withal upon the earth; Even these of them ye may eat; the locust after his kind, and the bald locust after his kind, and the beetle after his kind, and the grasshopper after his kind. But all other flying creeping things, which have four feet, shall be an abomination unto you. 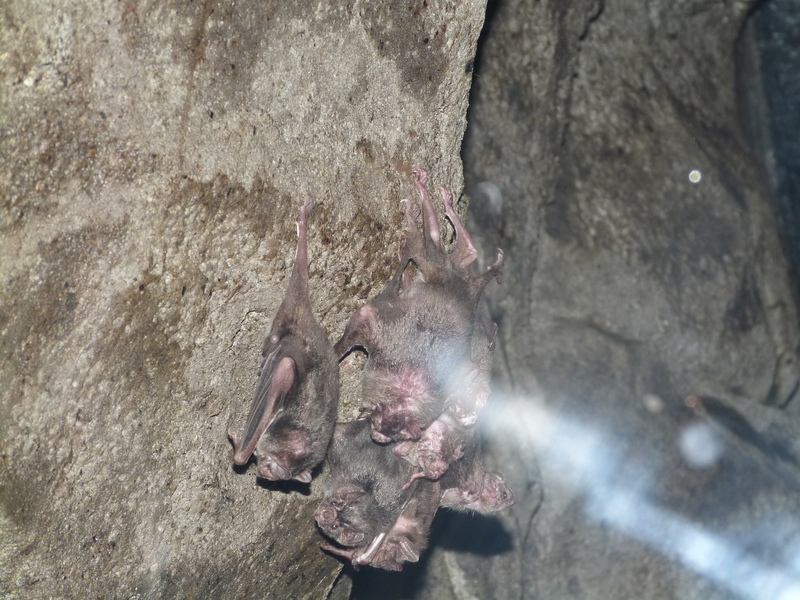 While we were at the Cincinnati Zoo, we were able to see and photograph several Bat species. They were really cool and I wanted to share them with you. Then I remembered that I had written about them in Birds of the Bible – The Bat?, in 2010. That article was about the controversy over whether a Bat is a Bird. 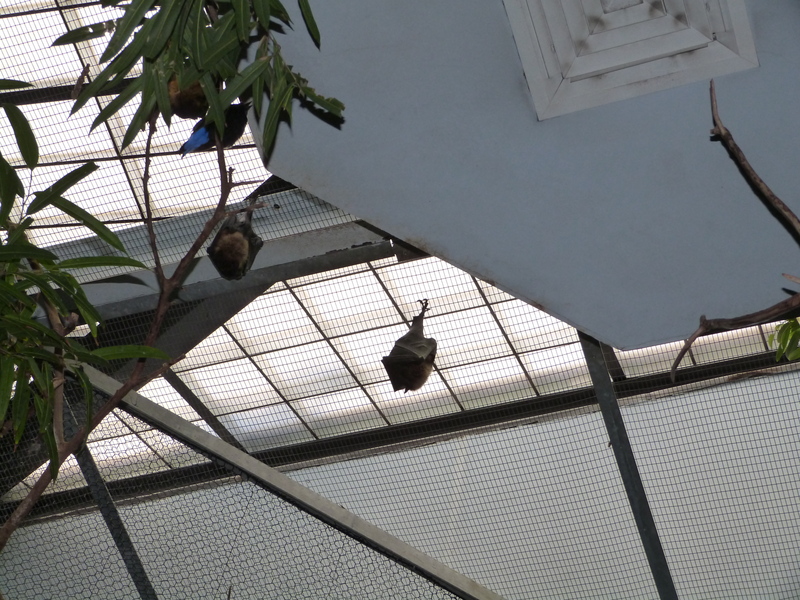 This time, I am mainly sharing the photos of the Bats that are there at the Zoo and comments about them. Just one personal observation about the above verses. The use of “fowl” in the King James Version and some of the others seems to refer to any creature that had wings and flies. I quoted the whole context because; 1) The verse and chapter separations were inserted later, 2) Birds, bats, and insects all seem to be referred to with the same collective term, “fowl.” I do not have a problem with the bat. It is not a bird. 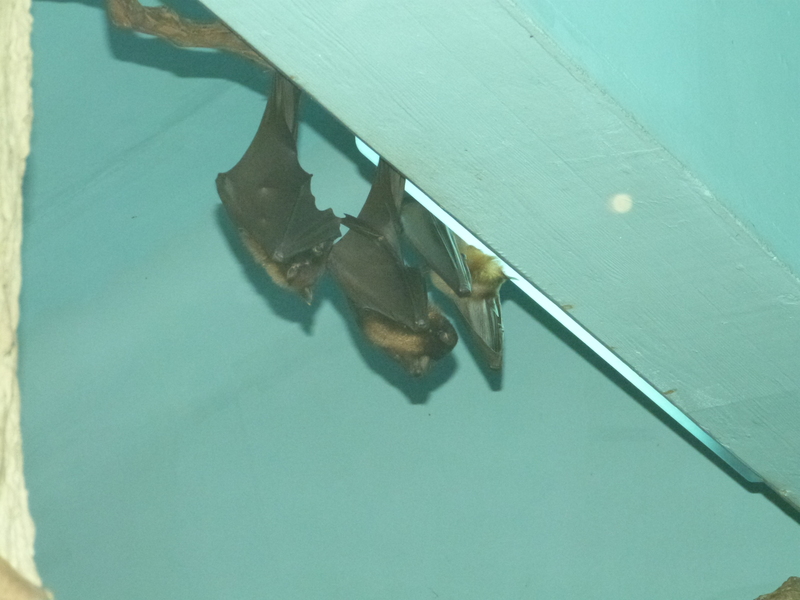 The bats we saw at the Cincinnati Zoo were the Giant Fruit Bats and the Vampire Bats. They are amazing creatures of design and creation from their Creator, the Lord. Giant Fruit Bat (Pteropus giganteus) or Indian Flying Fox is found in Bangladesh, China, India, the Maldives, Nepal, Pakistan, and Sri Lanka. 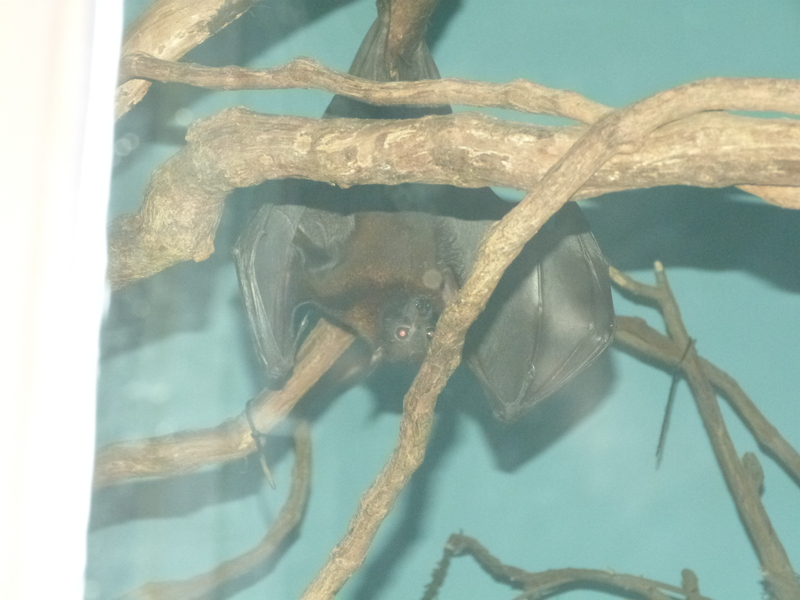 Also known as the greater Indian fruit bat, it lives in mainly forests. It is a very large bat with a wingspan between 3 ft 10 in and 4 ft 10 in (1.2 and 1.5 m). 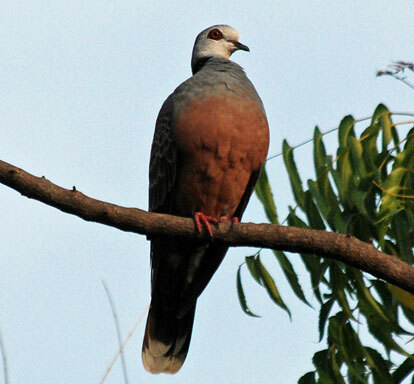 It is nocturnal and feeds mainly on ripe fruits, such as mangoes and bananas, and nectar. This bat is gregarious and lives in colonies which can number a few hundred. Their offspring have no specific name besides ‘young’. They have one to two young. The Indian flying fox lives in tropical forests and swamps, where a large body of water is nearby. The way they were hanging up there amazed me. I zoomed in and took a photo of its foot. Also, they almost looked like a large cocoon hanging up there with the wings wrapper around them. The first photo, Dan caught one of them stretching. (Common) Vampire Bat (Desmodus rotundus) – The common vampire bat mainly feeds on the blood of livestock, approaching its prey at night while they are sleeping. It uses its razor-sharp teeth to cut open the skin of its hosts and laps up their blood with its long tongue. They are native to the New World, ranging from Mexico to Brazil, Chile, and Argentina. The common vampire bat is short-haired, with silver-gray fur on its undersides, sharply separated from the darker fur on its back. It has small, somewhat rounded ears, a deeply grooved lower lip, and a flat, leaf-shaped nose. 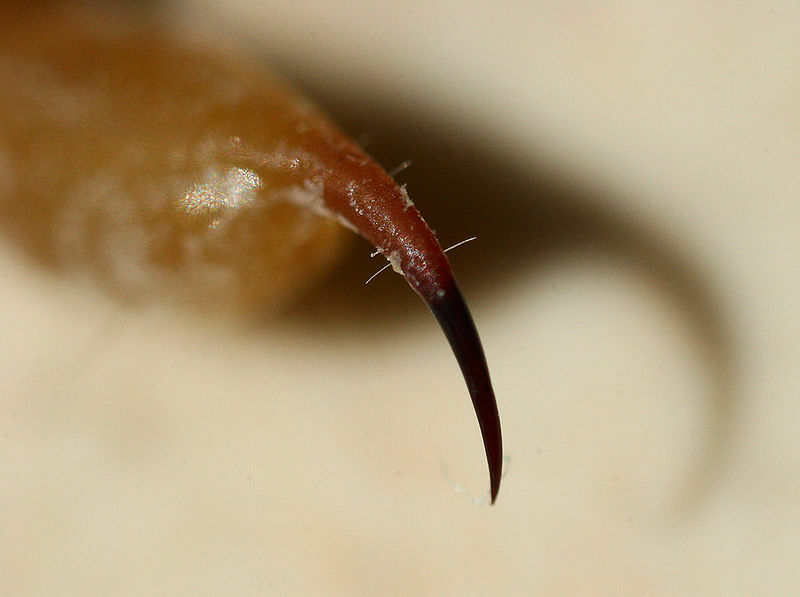 A well-developed, clawed thumb on each wing is used to climb onto prey and to assist the animal in take-off. 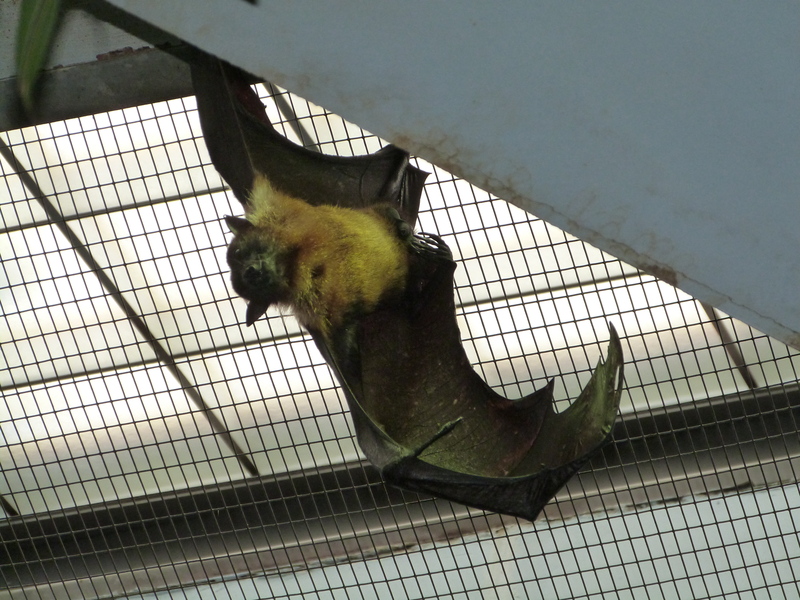 The bat averages about 3.5 in (9 cm) long with a wingspan of 7 in (18 cm). It commonly weighs about 2 oz (57 grams), but its weight can double after a single feeding. The braincase is relatively large, but the snout is reduced to accommodate large incisors and canines. It has the fewest teeth among bats. Common vampire bats have good eyesight. They are able to distinguish different optical patterns and may use vision for long-range orientation. These bats also have well-developed senses of smell and hearing: the cochlea (ear) is highly sensitive to low-frequency sounds, and the nasal passages are relatively large. They emit echolocation signals orally, and thus fly with their mouths open for navigation. 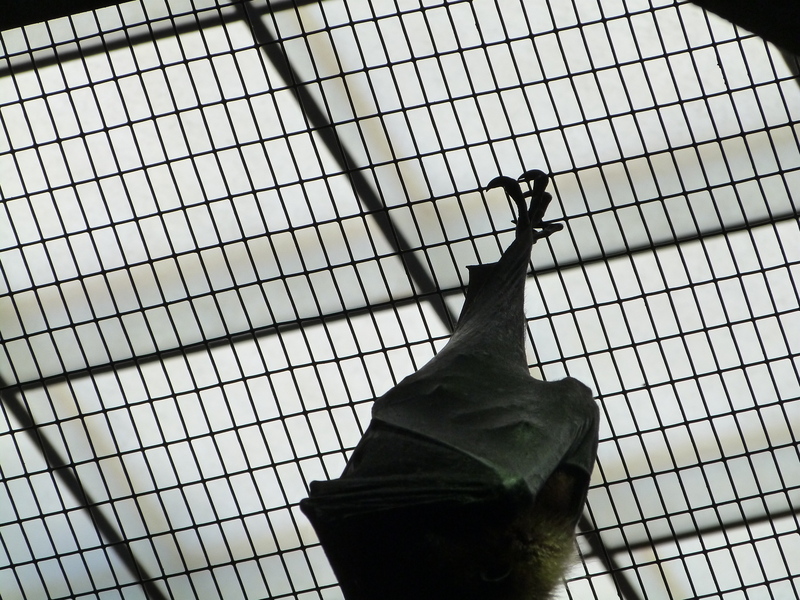 Birds of the Bible – The Bat? The whale is mentioned in the first chapter of the Bible, 21st verse. 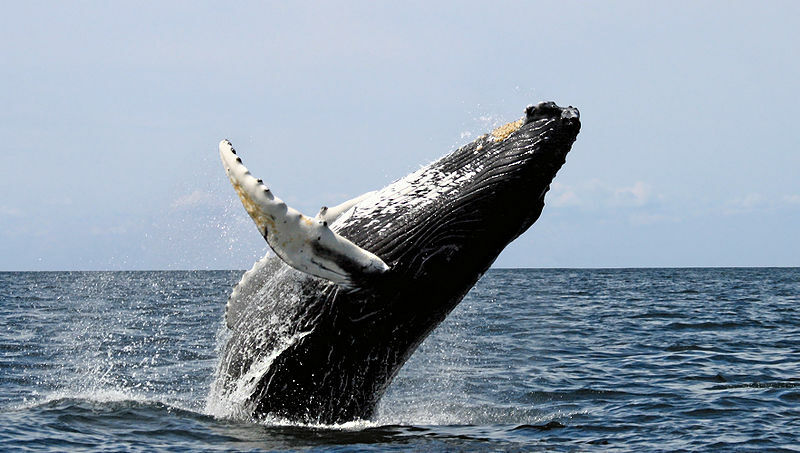 And God created great whales. Some suppose that large fish of every kind are here meant. Canst thou draw out leviathan with a hook ? or his tongue with a cord which thou lettest down? Canst thou put a hook in his nose ? or bore his jaw through with a thorn? Wilt thou play with him as with a bird? When he raiseth himself up, the mighty are afraid. The arrow cannot make him flee; he laugheth at the shaking of a spear; he maketh the deep to boil like a pot; one would think the deep to be hoary. This is like the whale in some things; but you will remember that it is not certain that he is meant. The common whale for which so many sailors are always seeking on the great ocean, is an enormous animal. It is often found seventy feet long; and it is said that they have been found of the length of a hundred feet. If you do not know how long this would be, you will do well to ask some friend to tell you of a building or something else with which you can compare it; for it is not very likely that you will ever see the whale itself, and its size is very wonderful. It is covered with a coat of fat, sometimes more than a yard thick; and when this is cut up and put over fires in great kettles, a hundred barrels of oil are sometimes obtained from a single whale. Perhaps you already know how they take the whale. As soon as the sailors see one, they go towards him in a boat until they get as near to him as they dare. Then they throw their harpoons at him; these are sharp-pointed irons, fastened to a very long rope, one end of which they keep in the boat. 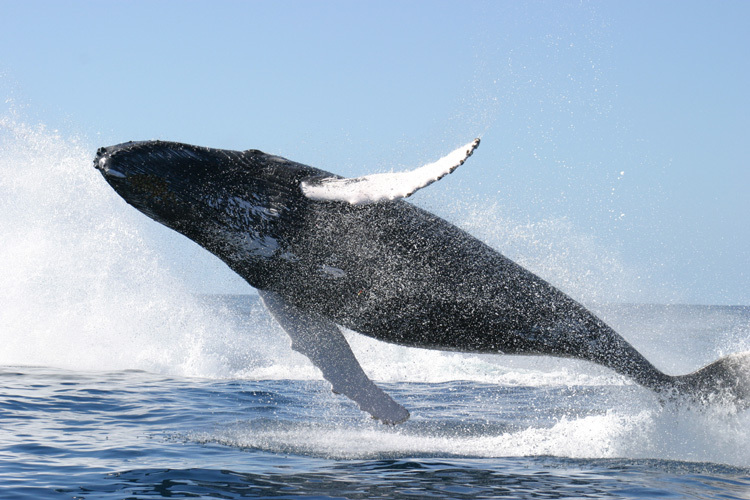 As soon as the whale is wounded, he dives down into the water, and swims away to some distance. He is usually obliged to come up again in about half an hour to breathe, for he cannot live all the while under water; and then the men throw other harpoons at him. Sometimes he comes so near as to upset the boat with a blow of his strong tail. The picture shows you a scene of this kind, where the boat was tossed into the air, the men thrown out, and one of them drowned. There is only this animal mentioned in the Bible, the name of which begins with U, and of this I cannot give you a picture, because no person now knows what sort of an animal it was. Some suppose it was a kind of wild goat; others think that it was a sort of deer; and others, that it was what we call the rhinoceros. Perhaps you have seen pictures with the name of the unicorn under them; but you must remember that those who made them only guessed it was so, and that no person can certainly tell what it was. -so did Jacob’s twelve sons-so did Moses for his father-in-law. The Lord is my shepherd, I shall not want: he maketh me to lie down in green pastures; he leadeth me beside the still waters. 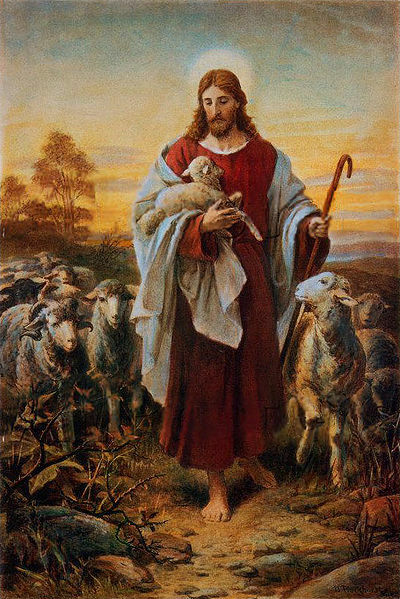 And when he (the shepherd) putteth forth his own sheep, he goeth before them, and the sheep follow him, for they know his voice. 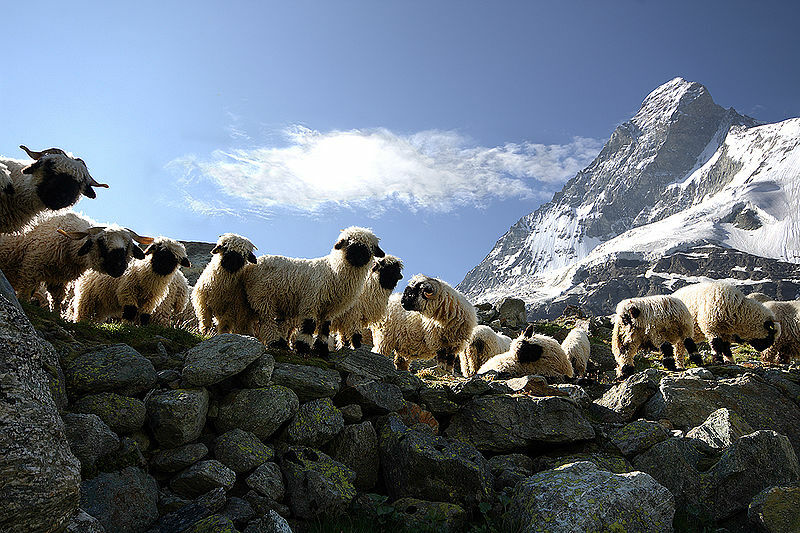 The sheep in many countries are in danger from wolves, which prowl about and try to carry them off; so it is necessary to watch them by night as well as by day. You remember the shepherds were watching their flocks by night when the bright angels appeared to tell the glad tidings that A SAVIOR had come; and they were the first to hear that sweet song in the stillness of the night, when all around were hushed in sleep. gather you with his arms, and carry you in his bosom. as the shepherd does his tender lambs? This frightful creature is several times mentioned in the Bible. It is the largest among insects, and more dangerous than any of them. It is sometimes found in Europe, and is there about four inches long; but those of hot countries are sometimes more than a foot in length. And their torment was as the torment of a scorpion when he striketh a man; and in those days shall men seek death and shall not find it: and shall desire to die, and death shall flee from them. 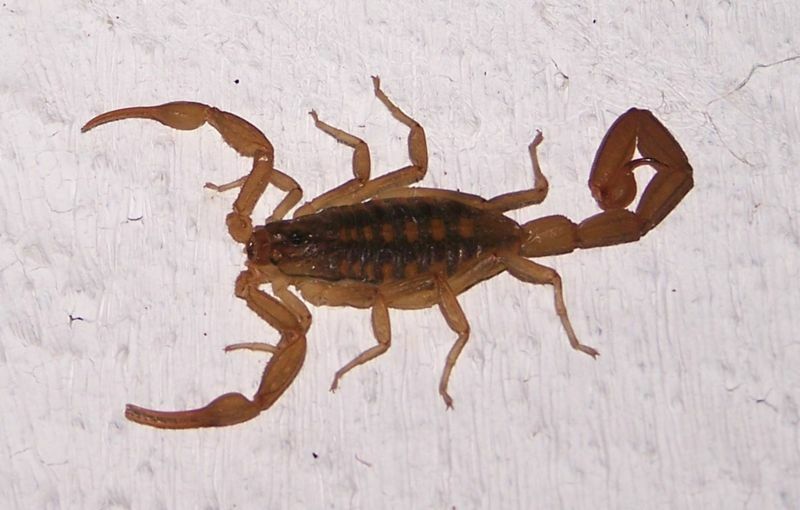 It is well for man that scorpions destroy each other as readily as they do animals of a different kind. It is said that a hundred were once put together under a glass, where they immediately began to attack and kill each other; so that in a few days only fourteen were left alive. I have heard that if a circle of alcohol or spirit of any sort, is set on fire, and a scorpion placed within it so that he cannot get out on any side, he will sting himself so as to cause his death. I am not certain that this is true, and it would be a very cruel thing to try it even upon so dangerous an animal as the scorpion. that great and terrible wilderness, wherein were fiery serpents, and scorpions and drought; where there was no water. If a son shall ask of his father an egg, will he give him a scorpion? 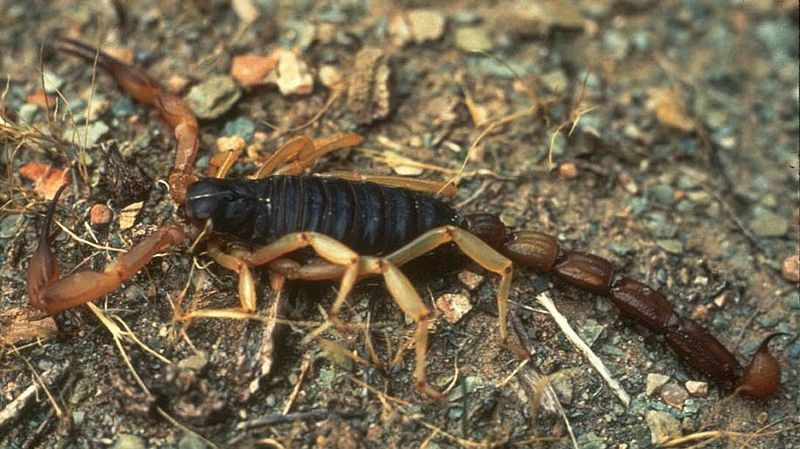 The scorpions in that country are about as large as an egg, and when rolled up look a little like one. Yet no father would be so wicked as to give one to his child instead of the egg which he needed for food. Behold I give you power to tread on serpents and scorpions, and nothing shall by any means hurt you. 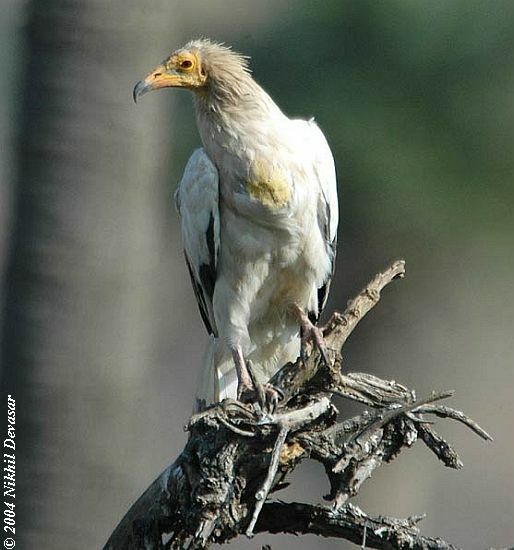 The vulture is called a bird of prey, because it lives on flesh; but it has not such strong claws as the eagle, to seize and tear its food. It does not often kill other animals; but preys upon those that have been killed in some other way, or have died of themselves. It is a disagreeable bird, and one that you would not like very well to see; no wonder the Israelites were forbidden to eat it. 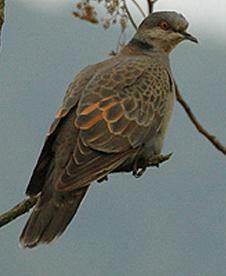 It is about a yard long from the top of its head, and it sometimes measures two yards across the wings. It lives only in warm or hot climates, and there it is very useful, though you might at first be puzzled to think how this can be. It is because it lives upon such things as would be very injurious to man if they were left to decay in the open air. It not only consumes the dead bodies of animals, but takes away many things from the streets of the cities which the inhabitants are too indolent to remove. 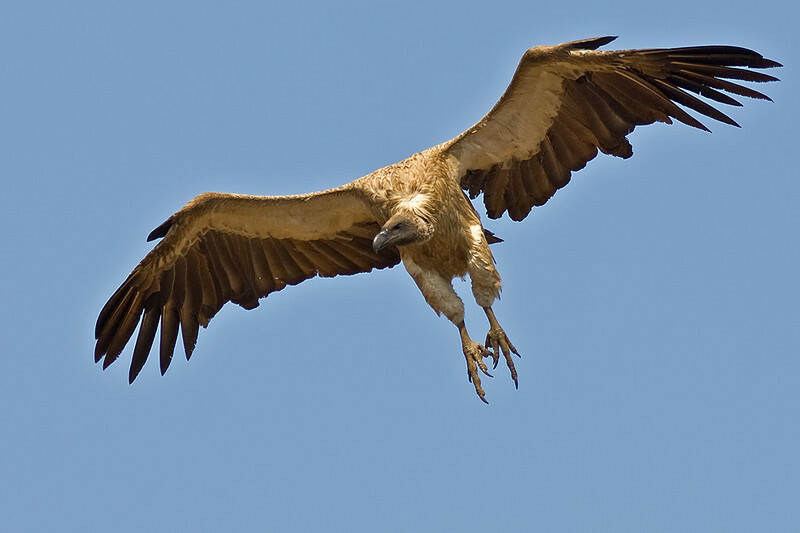 It is for this reason that in the city of Cairo, in Egypt, there is a law forbidding any person to kill a vulture. These birds sometimes follow an army, and prey upon the bodies of those poor soldiers who have been killed in battle. Ah ! it is a sad thing to go to war; almost every thing about it is sad. 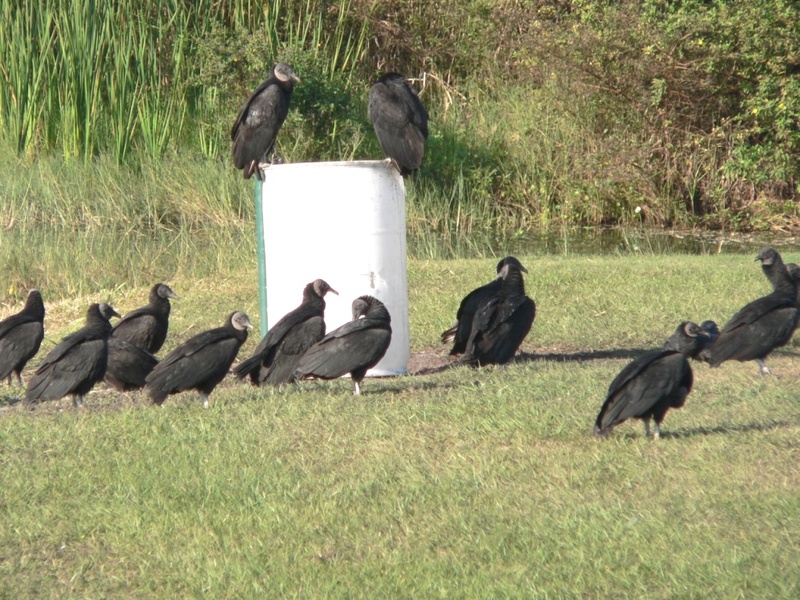 There shall the vultures be gathered, every one with her mate. This must have been written by one who had seen these birds coming together, as they do in great flocks or companies. 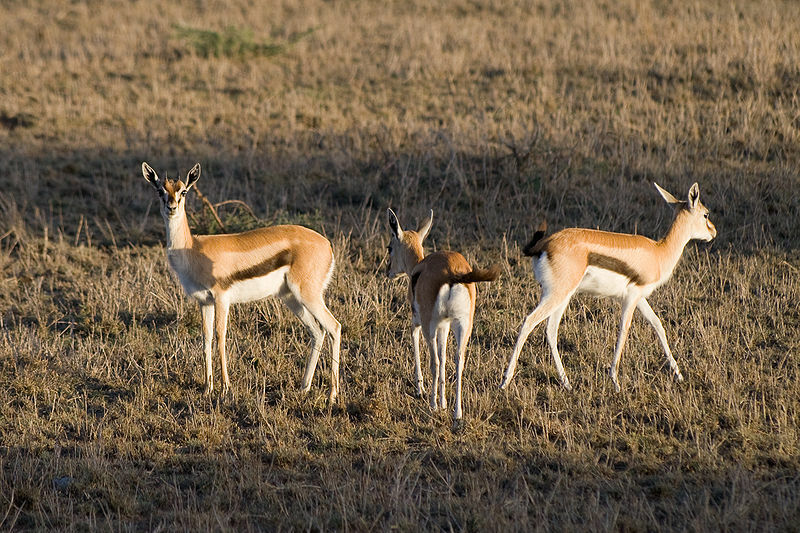 The roe belongs to the class of antelopes-animals very much resembling the deer; they are equally innocent and beautiful, and are often mentioned together in the Bible. 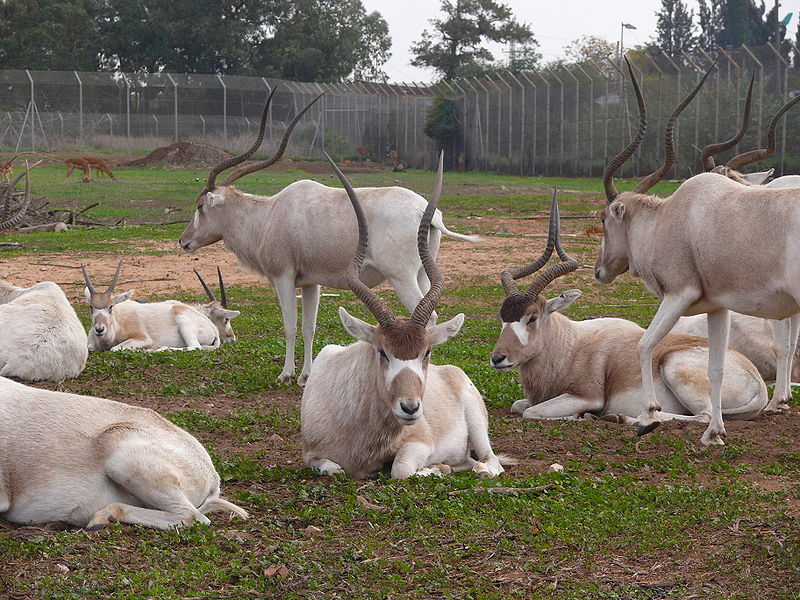 The form of the antelope is, if possible, still more graceful than that of the deer, and its limbs still more delicate; but the principal difference between them is in the horns. 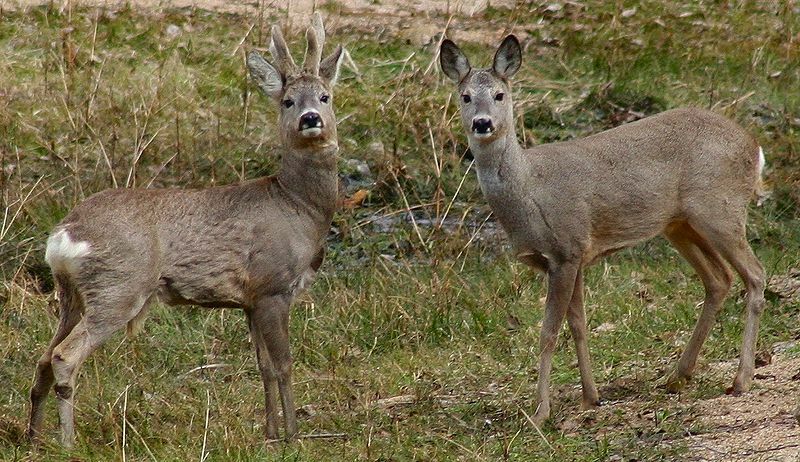 Those of the deer grow from the bone of the forehead, and are at first small; but they are renewed every spring-the old horns falling off, and being succeeded by larger ones which grow in their place. They are at first covered with a soft, downy substance, called “the velvet;” but this soon comes off in fragments, leaving the horn white and smooth. 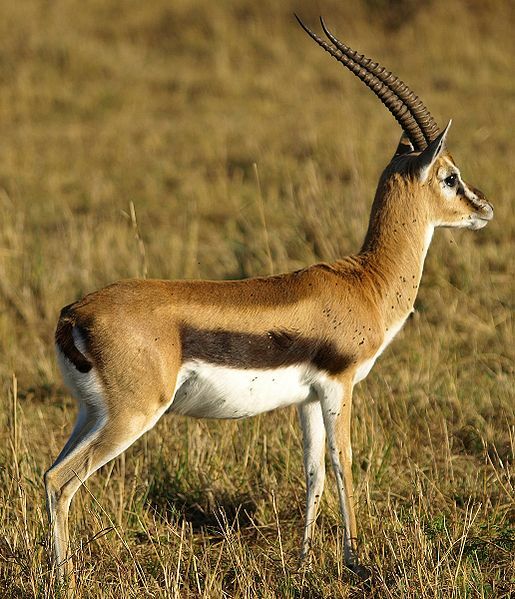 The antelope never sheds its horns. She has the eyes of a gazelle. as swift as the roes upon the mountains. The voice of my beloved ! behold he cometh leaping upon the mountains, skipping upon the hills: my beloved is like a roe or a young hart. Deliver thyself as a roe from the hand of the hunter. They go in very large companies, sometimes as many as two or three thousand; and they are still found in great numbers on the hills of Judea, the land where our Savior lived and died. The Bible name of this bird means gentleness or affection, and the stork very well deserves such a name. It is very kind indeed to its young ones, and takes pains to find some things for them that it does not itself eat. It is said that when a house, on the top of which was a stork’s nest, once took fire, the mother bird would not fly away, because the young ones were not large or strong enough to go with her, and so they were all burned together. 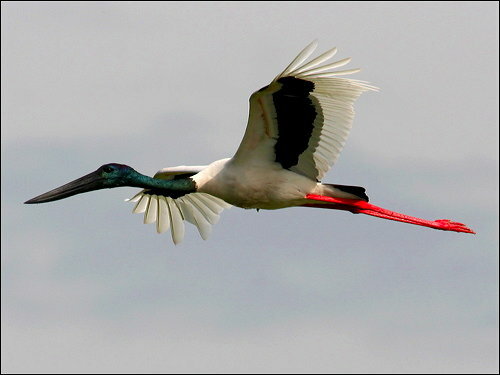 They are very kind to the old birds, too; and I have read that the younger storks sometimes carry the old ones on their wings when they have become tired with flying a great way; and bring food to them in their nests just as the old ones used to bring it to them. I am not quite certain that this is true, though many people have said so; but if it is, I am sure it is a beautiful example for every child, teaching him to repay his parents in every way he can for all their love and care. 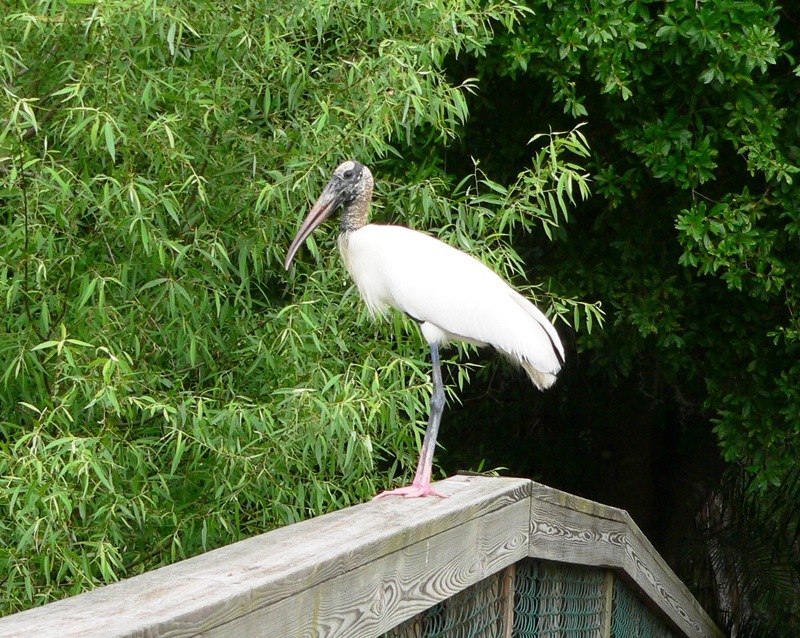 The stork is about a yard long from its head to the end of the tail; its color is white, excepting some of the great quill feathers, which are black. Its nest is large and flat, and made mostly of sticks; the eggs are about as large as those of a goose, and a little yellowish. It does not sing; the only noise it makes is by striking one part of its bill upon the other. 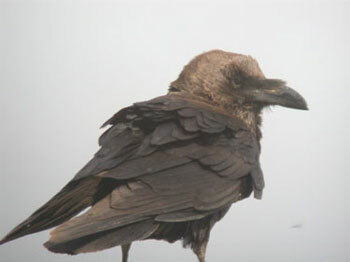 While it is sleeping it stands on one leg, with its neck bent backward, and its head resting between its shoulders. The Jews were forbidden by God to use the stork for food; perhaps this was because it lives upon such animals as frogs, fishes and serpents. that is, her times of going to a warmer climate or returning. As for the stork, the fir-trees are her house. 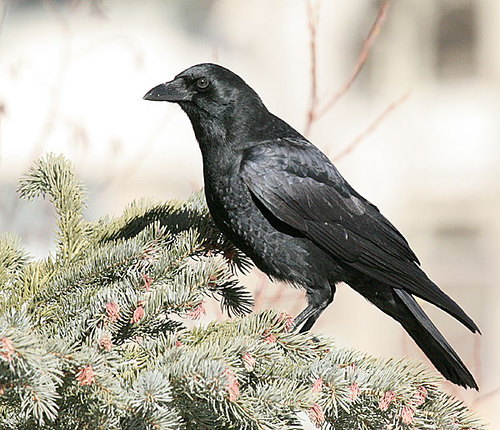 The raven has always been very well known to man, and is mentioned almost at the beginning of the Bible. You remember that this was the first bird that Noah sent out of the ark to see whether the waters had begun to dry up; and that it did not go back to him again. 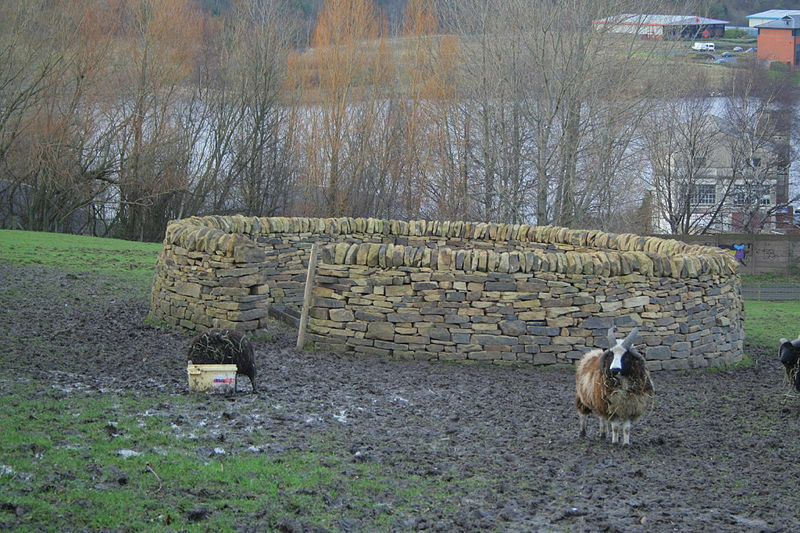 I suppose it was very glad to be at liberty after it had been shut up more than a year; and as it lives upon the flesh of other animals, it probably found food enough from the bodies of those that had been drowned. It has been the custom, in many countries, to hang those who have been guilty of great crimes on a tree or on a gallows in the open air; and there to leave the body for the birds to peck at and devour if they chose. I suppose this verse means that stubborn and disobedient children, or those who are not kind and respectful to their parents, must expect to come to some sad end; and they very often do so. 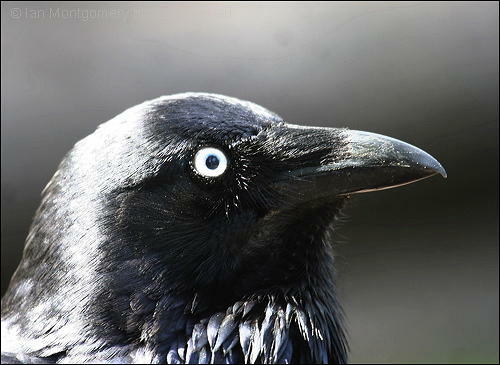 Who provideth for the raven his food ? when his young ones cry unto God, wandering for lack of meat. If God takes care of the ravens, he will certainly take care of you; so you need not be anxious or afraid. the ravens brought him bread and flesh in the morning, and bread and flesh in the evening; and he drank of the brook. 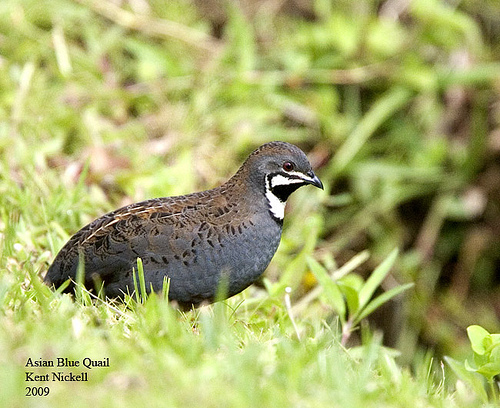 The quail is about the size of a pigeon. It is called a bird of passage, because it does not always live in the same place, but spends the winter in one country, and in the spring flies away to another. In their journies, they fly together in very large flocks, as you have perhaps seen wild geese or pigeons do. A great many spend the summer north of the Black Sea, and when autumn comes they fly away to spend the winter in some warmer place, farther south. They usually start early some fine evening in August, when there is a north wind to help them on, and fly perhaps a hundred and fifty miles before morning. The people on the opposite shore of the Black Sea know about what time to look for them, and catch a great many of them for food. 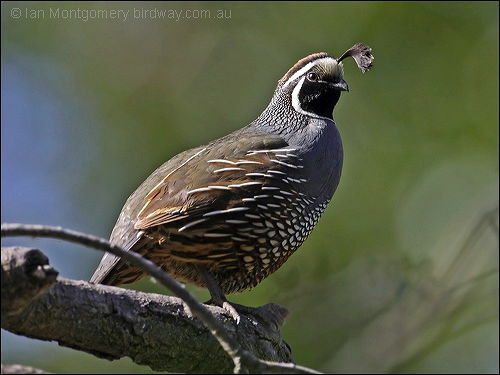 And there went forth a wind from the Lord, and brought quails from the sea, and let them fall by the camp, as it were a day’s journey on this side, and a day’s journey on the other side, round about the camp, and as it were two cubits high upon the face of the earth. And the people stood up all that day, and all that night, and all the next day, and they gathered the quails; he that gathered least, gathered ten homers; and they spread them all abroad for themselves round about the camp. He rained flesh upon them as dust, and feathered fowls like as the sand of the sea. And he let it fall in the midst of the camp, round about their habitations. So they did eat, and were well filled, for he gave them their own desire; but while the meat was yet in their mouths, the wrath of God came upon them. Perhaps it was not wrong for the children of Israel to ask for meat to eat, but God was displeased with them for their complaining spirit notwithstanding all his goodness; and although he gave them what they asked, it proved to be only a curse to them. This may teach us to be grateful for the thousand blessings that God has given us, and when we ask any thing from him, to be willing that he should deny us if he sees best.